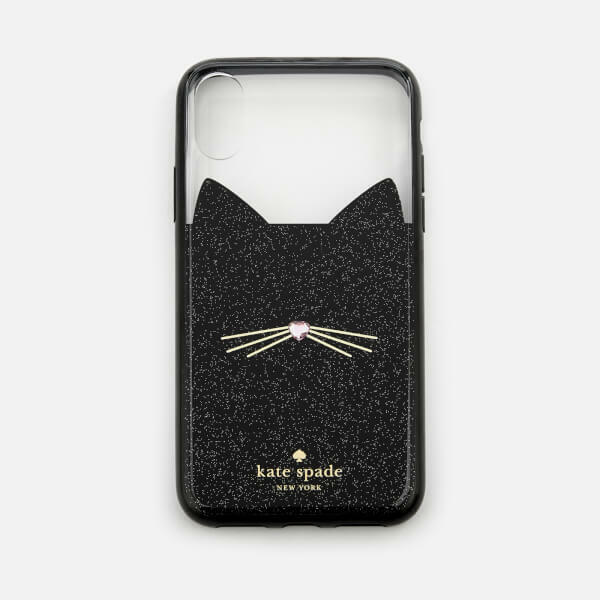 Jewelled cat phone cover from Kate Spade New York. 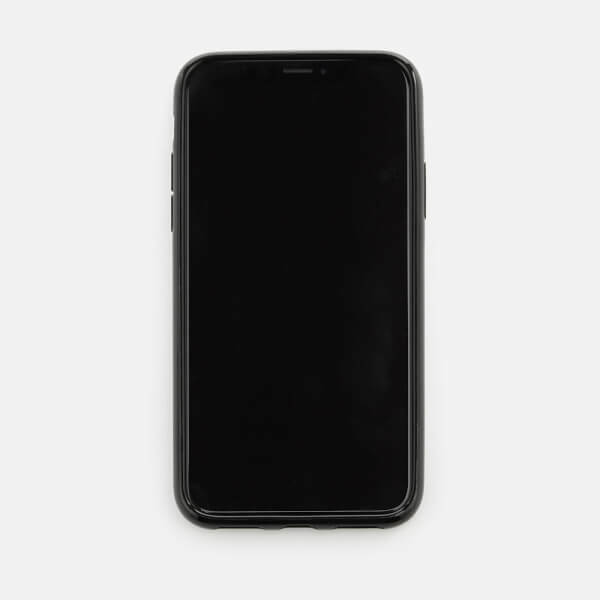 Crafted with lightweight yet durable silicone to protect against bumps and scrapes, the iPhone X case features an outline of cat’s ears in glittery black, while a pink heart gemstone adorns the nose. 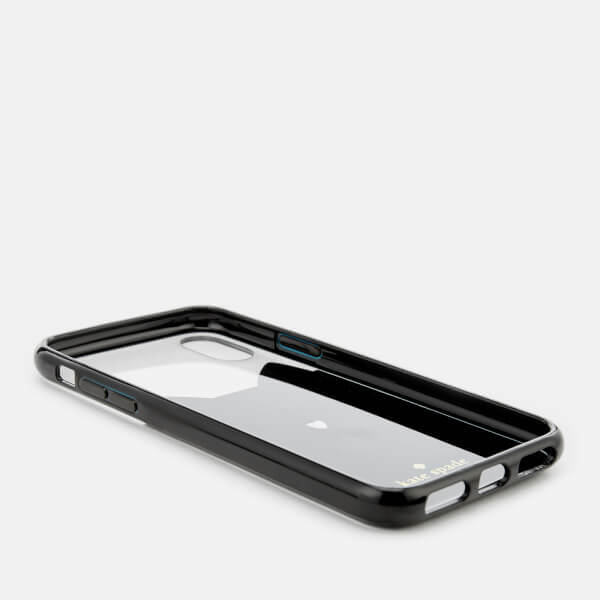 Cut-out and push button detail allows for full accessibility. 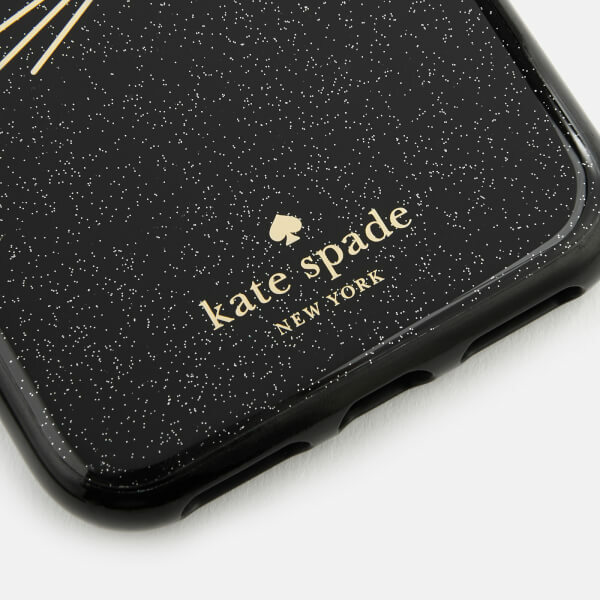 Iconic branding completes the design.